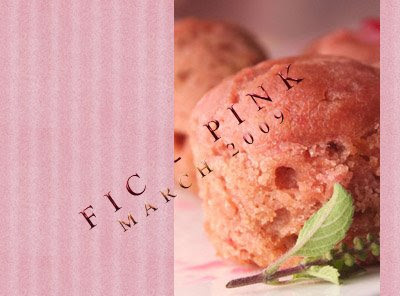 Its time again for a new edition of FIC, and my guest hostess for March is Priya. As many of you may already know Priya blogs at Priya's Easy N Tasty Recipes, and her recipes are really what her blog title suggests - easy as well as tasty! When I visited her blog today, I realized why she chose this color for FIC. It is obvious after the first look at her site:). I invite you all to put your imagination to work and make the two of us happy with all your lovely pink/rose dishes. The rules are the same as always except that Priya will be hosting FIC in two parts - a non-vegetarian section and a vegetarian section. 1. Cook and post, between the 1st and 31st March 2009, any food with PINK/ROSE as the 'hero colour' in the finished product. Lavendar or Mauve will not be accepted as shades of pink:). 2. Your preparation could fall into any category of meals but please label whether it is vegetarian or non-vegetarian as the round up will be done in two categories. Please note that raw vegetables are allowed only in soups or salads. Please do not re-post earlier posts for this event. It is fun when we get new entries. 3. You are requested to link your post to this announcement and Priya's FIC Announcement on her blog. 4. If your recipe is inspired or taken from a blog or site, please link by name instead of using a link with "here", to acknowledge the person and not the thing! Feel free to use the logo on your blog, if you wish. The deadline for submissions is the midnight of the 31.03.2009 (your time). 6. If you do not have a blog and would like to participate, please e-mail Priya your recipe and a picture. Any number of entries are welcome as long as it is a new post and not archived! Since this event is all about colour please accompany your recipe with a picture.